Public art is dotted all over Dublin. 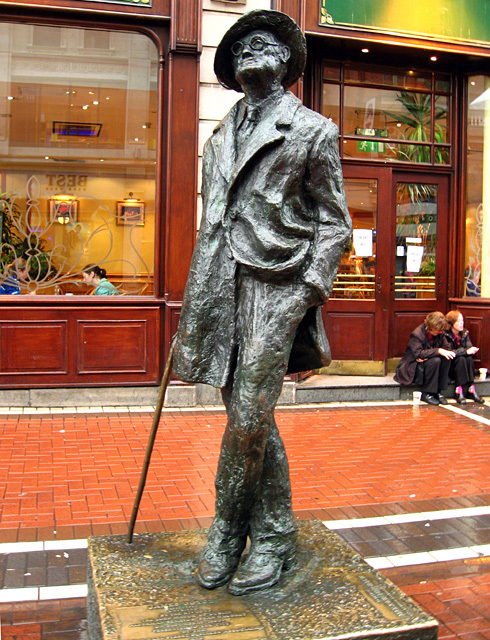 You will find bronze statues in unexpected places and meet famous people such as James Joyce, Oscar Wilde and Patrick Kavenagh. My favourite is the Tart with the Cart - Molly Malone at the Trinity side of Grafton Street. 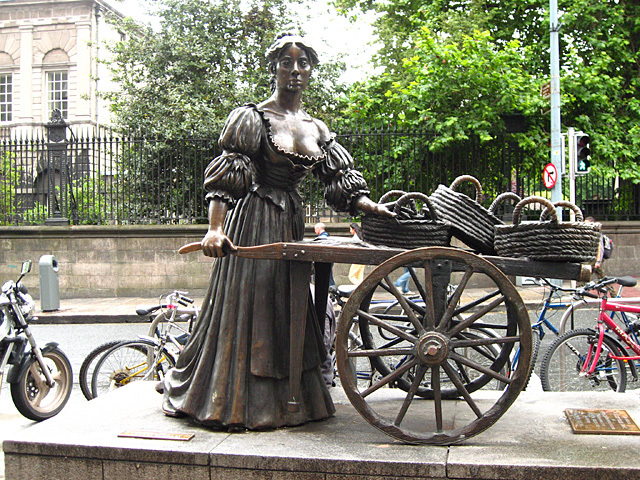 In the song 'In Dublin's Fair City' she 'wheeled her wheelbarrow, through streets broad and narrow'. This is exactly what she is doing here. The statue is very popular with tourists who all take pictures of her and her deep cleavage. A close second is The Prick with the Stick, the statue of James Joyce at the corner O'Connell Street and North Earl Street. Hand in pocket and leaning on his walking stick, he seems to observe any one who passes by and doesn’t mind people sitting on his pedestal. 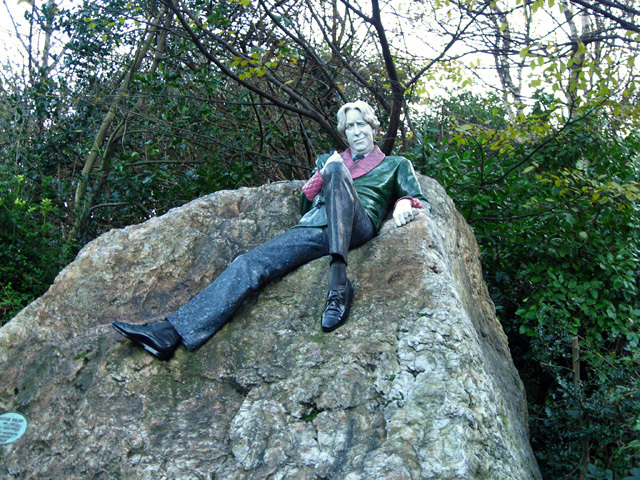 Oscar Wilde admirers will love to see the Fag on the Crag, the playwright draped across a rock, opposite no 1 Merrion Square, across from his childhood home. 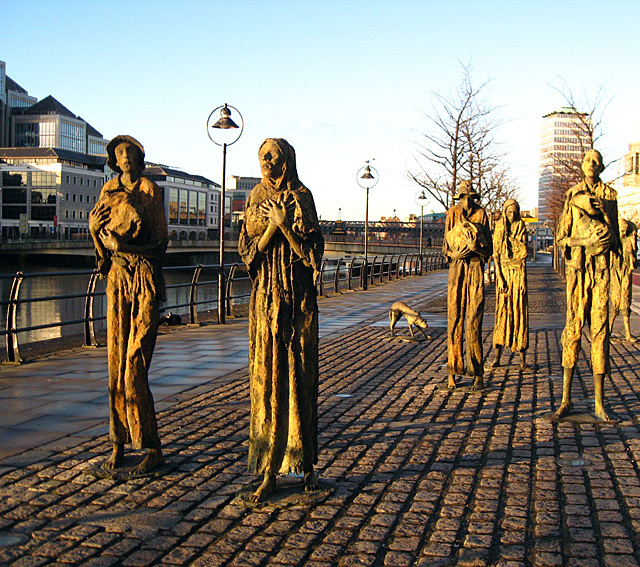 Poet and novelist, Patrick Kavenagh’s statue is also known as The Crank on the Bank. 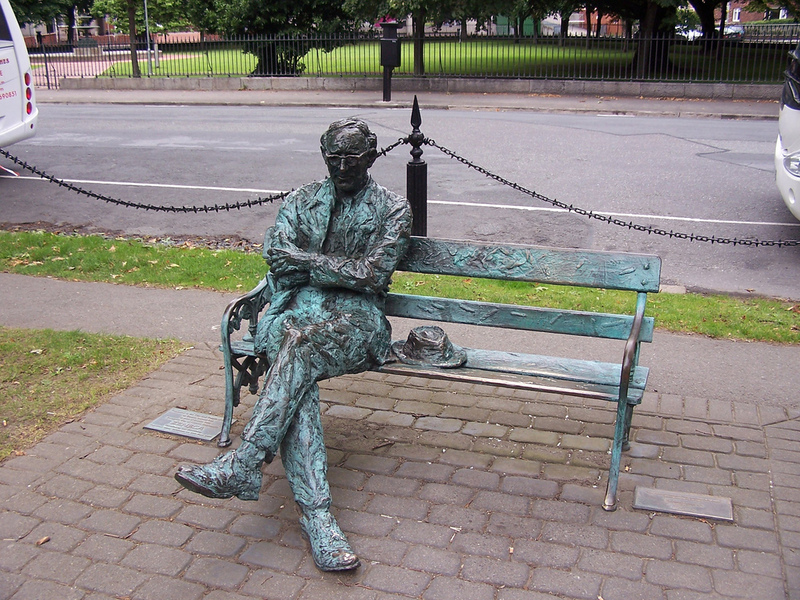 Seated on a bench, he overlooks the Grand Canal near Baggot Street. It feels great i have seen couple of similar things during my visit to maid of the mist boat tour and all went quite good with everything.